Sapna is expected to contest elections from Mathura. BJP has actress Hema Malini contesting the election from the seat. 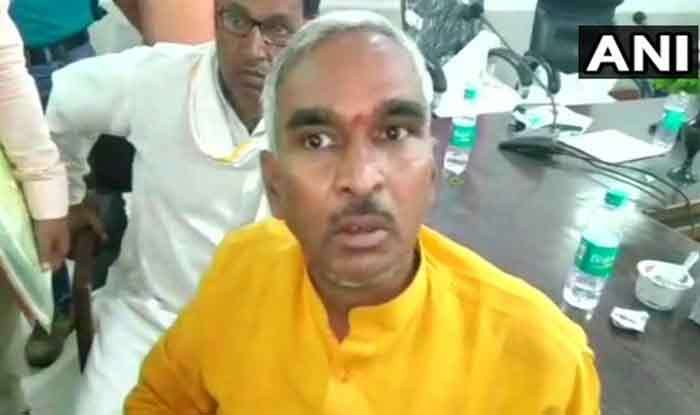 Ballia: Bharatiya Janata Party (BJP) MLA from Uttar Pradesh’s Ballia, Surendra Singh on Sunday passed a derogatory comment and attacked Congress President Rahul Gandhi after former Bigg Boss contestant and Haryanvi singer-dancer Sapna Choudhary joined the grand old party on Saturday evening. Drawing a parallel between UPA Chairperson Sonia Gandhi and Sapna, Singh said that he wanted to congratulate Rahul Gandhi for welcoming the singer-dancer in the party despite her profession. He added that Rahul had followed the footsteps of his father, former PM Rajiv Gandhi who had also embraced Sonia Gandhi despite knowing that she belonged to the same profession as that of Sapna. Singh implied that Sonia Gandhi too worked as a dancer before marrying Rajiv Gandhi. His sexist comment came hours after Sapna formally joined the Congress. There are reports that the famous folk singer and dancer may be pitted against Bharatiya Janata Party’s Hema Malini from Mathura in this year’s Lok Sabha polls. This is not the first time that the BJP MLA has made such a statement. A few days back, he had said that there is nothing wrong in calling Mayawati ‘worse than a transgender’. “The manner in which Mayawati has joined hands with the Samajwadi Party (SP) after the state guest house case of 1995 (where Mayawati was reportedly assaulted by SP MLAs) goes on to prove that she has no self-respect,” he had said.